Stanford Medicine X advocate says the success of value-based care, precision medicine depends on barriers being removed to patients' own health information. The increase in patient engagement efforts in recent years has caused some basic rethinking of long-held assumptions about how to foster wellness. Technology is a big must-have, of course. But what about the ownership of data? Hugo Campos never thought too much about that issue until about 10 years ago, when he was equipped with an implantable cardioverter defibrillator. "Receiving that in 2007 was the beginning of my patient advocacy," said Campos, an emeritus member of the Stanford Medicine X executive board and a self-proclaimed data liberation advocate. "My background is not in health or health IT," he said. "I worked in advertising." But Campos' frustrations with his ICD data caused him to change his career trajectory. "The standard of care these days is to monitor these devices remotely," he explained. "The manufacturer is usually tasked with the data collection by the hospital or the clinic." "Patients have no access to that stream of data, that stream of information that is constantly flowing to the manufacturer and to the clinic," he said. "I find that to be an absurd obstacle to engagement." At the HIMSS18 Patient Engagement & Experience Summit, Campos, alongside his Stanford Medicine X colleague Larry Chu, MD, professor of anesthesiology, perioperative and pain medicine, who runs the program, will explore the value of data liberation, and how a push toward more participatory medicine could lead to patients moving past mere engagement and toward more "autonomy" and better partnerships with their care teams. More and more patients are finding themselves part of movements that they might otherwise have never considered, said Campos. "The quantified-self movement, the e-patient movement, participatory medicine, they've all started to converge, creating these really engaged people." But for many patients, especially those with implantable devices like him, "remote monitoring is an obstacle," he said. Millions of people live with those implanted devices, but are limited in their ability to engage with their own health because "they have no access to the data." 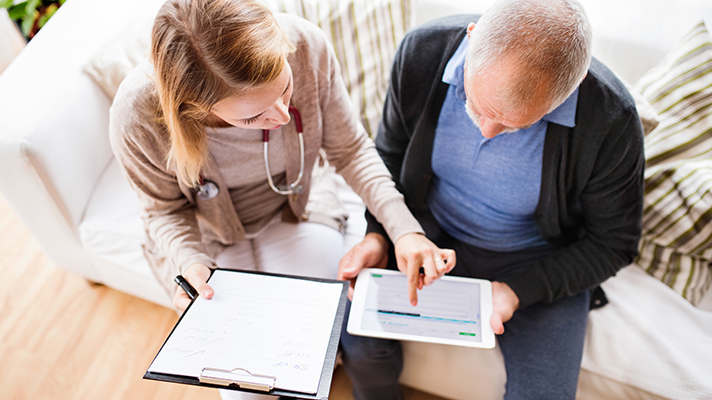 As patients are entrusted with more responsibility for their own care, limited access to their own data is "the most obvious obstacle to engagement in my view," said Campos. "If you want engagement, you have to design for autonomy," he said. "For me, autonomy is sort of the elephant in the room. Nobody wants to acknowledge that what people want isn't engagement with healthcare – it's engagement with life. That's what people want." In other words: A person living with a chronic condition "doesn't want to engage with portals, with doctors, with the healthcare system," he said. "People have different needs and different desires and different goals. It should be about allowing people to use the system in the way that works for them." That sort of autonomy and agency comes with responsibility, of course.